If you can't make it into our store the best way to order is to call us. We can offer in store specials over the phone and provide one on one custom service with a real person who is actually in the store when you call. We have a ton of products -- Everything is not listed here online. Just give us a call. We have the best prices on hard to find and unique supplements. Call or use the contact page to check pricing. 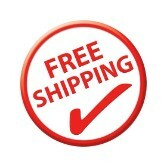 FREE SHIPPING to Continuous US & APO/FPO/DPO on select items and for orders $64.99 & over. Standard Shipping is only $5.90 if order is less than $64.99. "The above statements have not been evaluated by the U.S. Food and Drug Administration. They are not intended to diagnose, treat, cure, or prevent any disease."